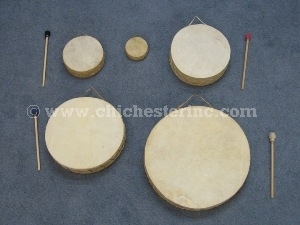 These are round rawhide drums come with a drum stick. The rawhide is either cow or goat and is stretched across a wooden frame. Only the 4" diameter drum does not come with a drum stick. It is 1" to 1.5" wide and weighs 1.1 oz (30 grams). The 6.5" to 7" diameter drum is 2" to 2.5" wide and weighs 3.6 oz (103 grams). The 10" diameter drum is 2.5" to 3.25" wide and weighs 7.2 oz (206 grams). 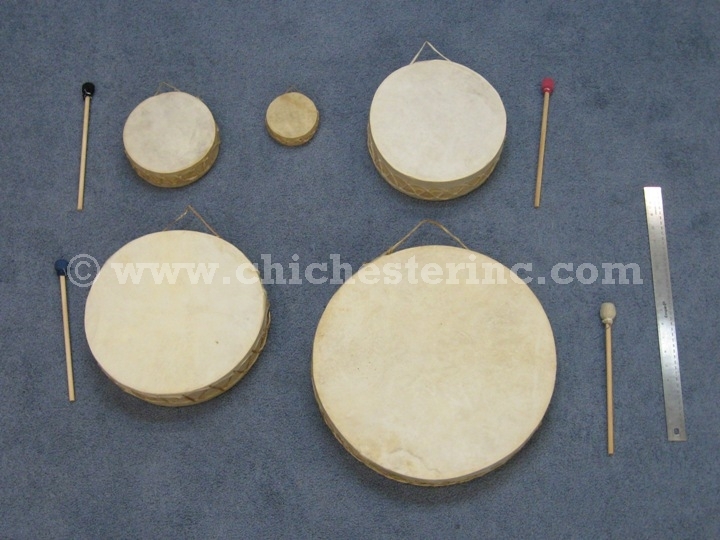 The 11.5" to 12" diameter drum is 2.5" to 3.5" wide and weighs 12.1 oz (344 grams). 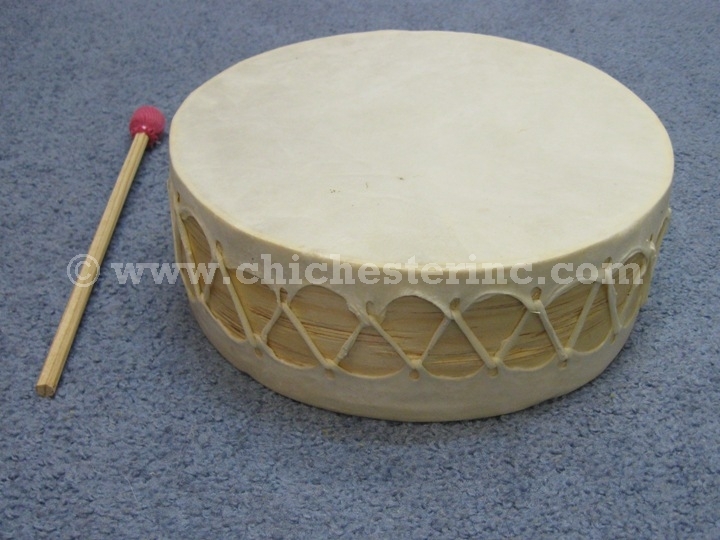 The 16" diameter drum is 3" to 3.5" wide and weighs 1.2 pounds. Genus and species: Bos taurus or Capra hircus. Ranch. Cows and goats are not an endangered species and are not subject to CITES or USFWS controls.